Steven Demetre Georgiu, born on July 21st, 1948, was better known by his stage name Cat Stevens. Even as a young man, Cat showed talents as a singer-songwriter and multi-instrumentalist. Although he once tried to form a band, Cat found he preferred to perform as a solo act. At age 18, he received his first record deal and recorded his debut album "Matthew and Son". By the following year, Cat was known as a teen celebrity. In 1968, he became very sick with tuberculosis and a collapsed lung. Although he was only 19, at the time, he had been living quite a fast paced lifestyle. Cat was admitted into King Edward VII Hospital, Midhurst, where he spent months recovering. Once he recovered, he began to change his direction and picked up things like yoga, meditation, metaphysics, and became a vegetarian. After being released from the hospital, Cat wrote nearly 40 songs, all with a new folk sound. His producer, Mike Hurst, did not like the new musical direction and Cat was eventually released from his contract with Deram Records. Soon after, in 1970, Cat Stevens signed with Island Records. Paul Samwell-Smith, former bassist for the "Yardbirds", became Cat's new producer and they began work on his new folk-rock album "Mona Bone Jakon". It was at this time, Samwell-Smith paired Alun Davies with the folk singer. Alun was known as a session guitarist and had already performed on two albums in the same genre. Like Cat, Alun was also a perfectionist and the two became fast friends, rarely parting ways until Cat officially retired and changed his name to Yusuf Islam in 1979. However, nearly thirty years later, when Cat reemerged, Alun was once again by his side and has remained so ever since. 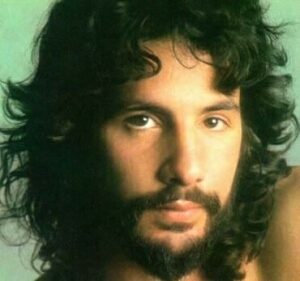 In 1976, Cat Stevens was swimming in Malibu, California.  He began to drown in the ocean and yelled out, "Oh God! If you save me I will work for you." He was then picked up by a massive wave and carried onto shore. After this life changing experience, he began to study many religions such as Buddhism, I Ching, Zen, Tarot Cards, and Astrology. But it wasn't until his brother gave him the book of Qur'an for his birthday that Cat began to make his transition to Islam. Cat Stevens converted to Islam in 1977 and a year later changed his name to Yusuf Islam. Nowadays, Yusuf still produces music that is morally right to his religion. He has been happily married to the same woman since 1979 and together they have five children. Since the 1960's, Cat Stevens has sold more than 60 million albums around the world. He received the ASCAP songwriter award two years in a row and has produced two triple platinum albums, "Tea For Tillerman" as well as "Teaser and the Firecat", with his "Greatest Hits" album selling more than four million copies in the US alone.